Many people who are unhappy with their teeth’s appearance—dullness, gaps, chips or cracks, stains, or crookedness, for example—will choose porcelain veneers as a cosmetic solution. 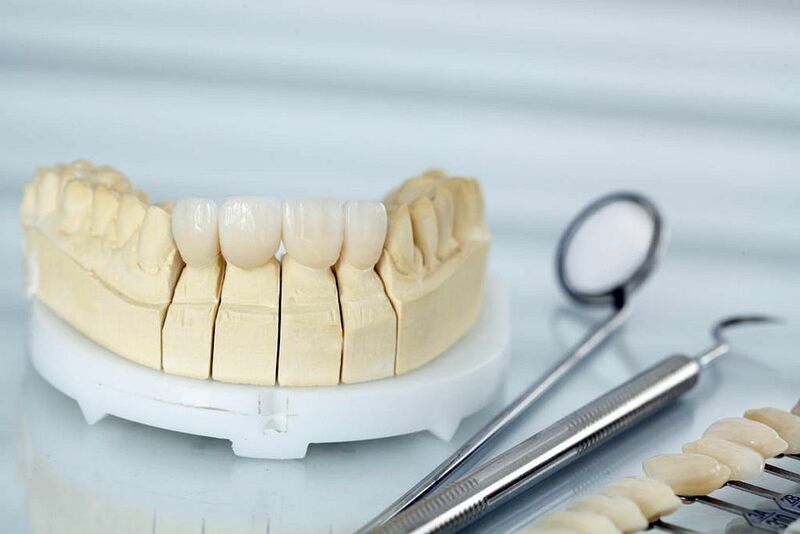 Patients love veneers for their natural appearance, resistance to stains, and brilliant white surface. Patients’ mouths love veneers because the process does not require extensive tooth shaping, and gum tissue tolerates the material well. Veneers don’t last forever though, and, because your teeth will have to be slightly shaved down for fitting, the procedure is irreversible.